There are several farmer markets in and around Sarasota on the weekends in the morning part of the day. But if you’re like me and want fresh local produce at a more convenient day and time, then Detwiler’s Farm Market is the place for you! Detwiler’s is open 8am-7pm Monday-Saturday and is closed on Sunday. 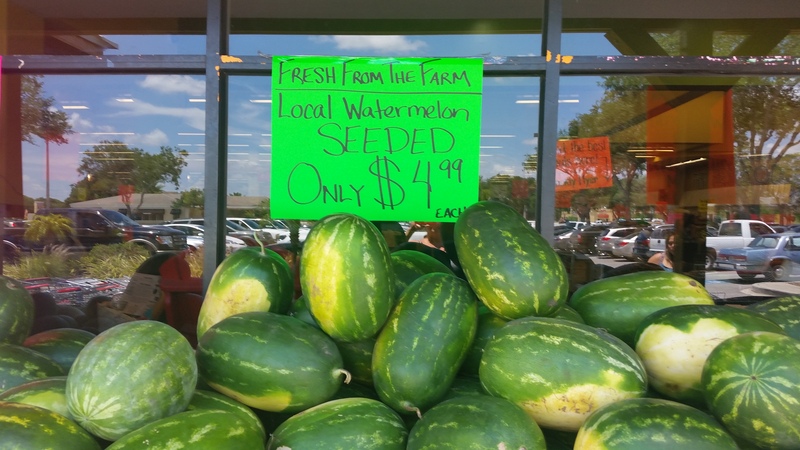 Detwiler’s offers fresh local produce, meats and bakery items all at an affordable price. It’s better quality food and is less expensive than the larger grocery chains. There are 3 Detwiler’s in the area, two in Sarasota and one in Venice. Check out their Facebook page to see the specials of the week! Detwiler’s is a great place to shop! Check it out!!! Shrimp Poboy’s and Frozen Daiquiris!